We have a plan that we want to install it on out internal Lync 2013 environment before we install it for our customers. Well I have noticed something strange duing the installation of this patch. 1. On my FrontEnd server the web Components failed to Upgrade and we had to reboot the FrontEnd server and run the LyncServerUpdateInstaller.msi again to get it installed and updated. 2. On the Edge server the update of Windows Fabric failed, and had to reboot it and so update it again. I had the same issue when I did the August 2014 patch for Lync 2013 server, but there I had it on the FrontEnd and Edge server that Windows Fabric failed to Upgrade. Anyone out there had this same issue when updateing to September 2014 patch? 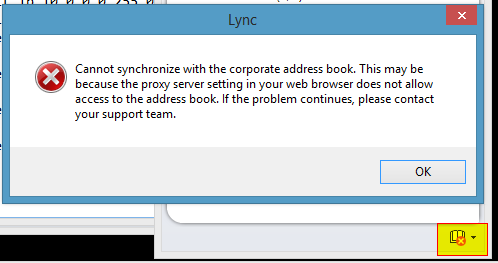 This is a strange thing when you are change the external certificate for Lync 2013 Edge server. We did for a customer changed from Geocities to Comodo certificate. Then I did a lot of search on uncle Google, but I was not able to find any solutions to this issue. The other day I was struggeling with some strange errors on a Lync deployment I did for one of my customers.